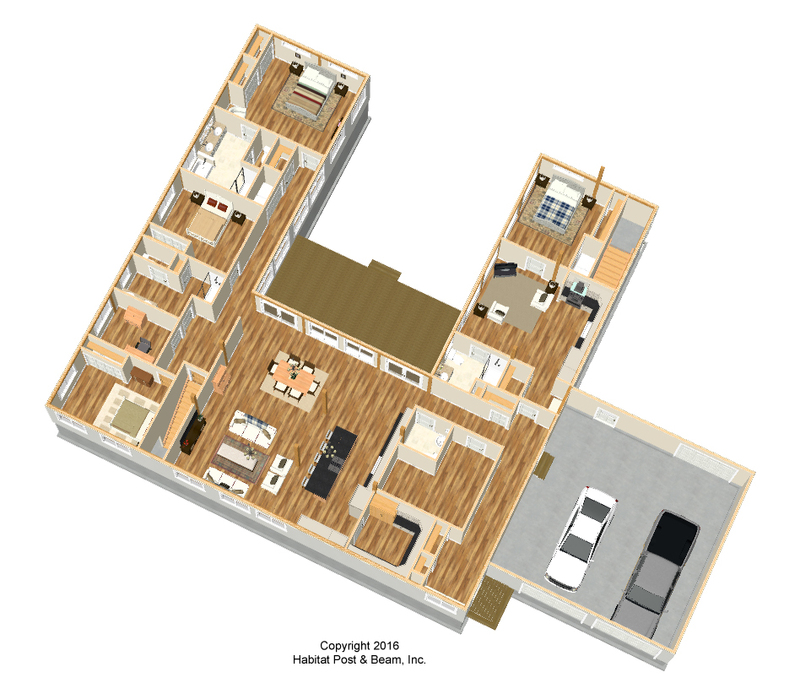 Here is a house that was custom designed with multiple generations in mind. 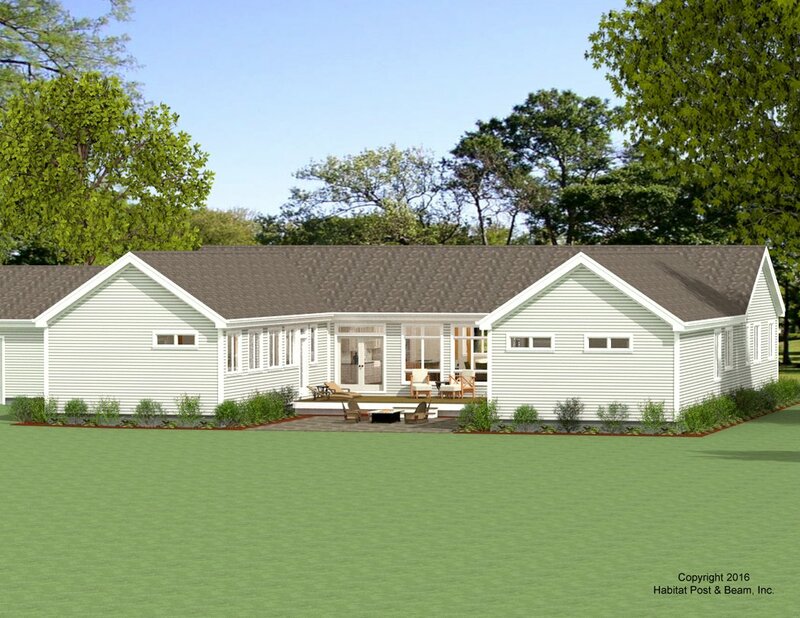 To be built in northeastern Rhode Island, this entirely one-level design of about 3600 sq. ft. has two private parallel wings with a shared deck and courtyard in between. The front section has an open, central kitchen/living/dining area with a Plaster and Accent Beam cathedral ceiling (http://www.postandbeam.com/roof-framing-system). 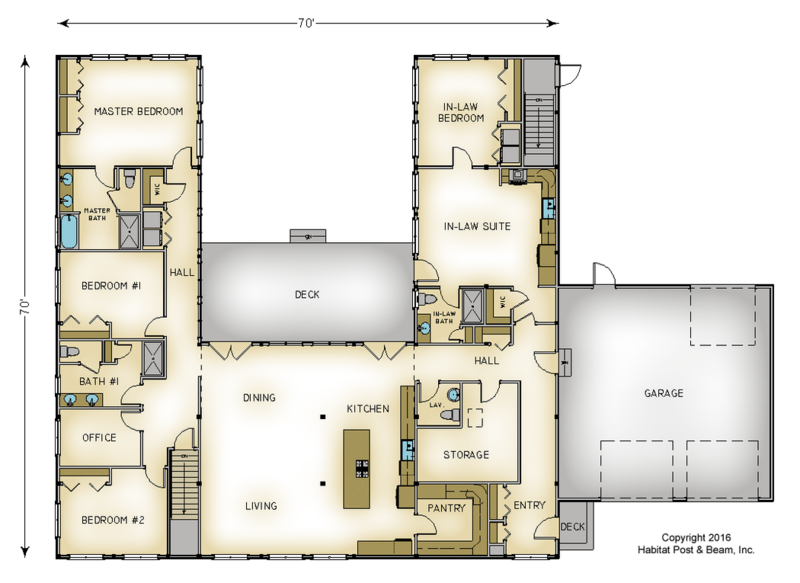 To the left side is an extensive bedroom wing extending out to the backyard, including two bedrooms separated by a full bath and office, and a private master bedroom suite. To the right side there is entry, pantry, and hallway storage in the front, and the in-law suite extending out to the backyard. The in-law suite includes an open kitchen/living area with a cathedral ceiling, a full bath, and bedroom. The basement level is currently designed for utility/storage. (Two-car garage is by owner/contractor). Package Price: $246,000 as specified below (from $238,500 to $321,500 depending on framing options). 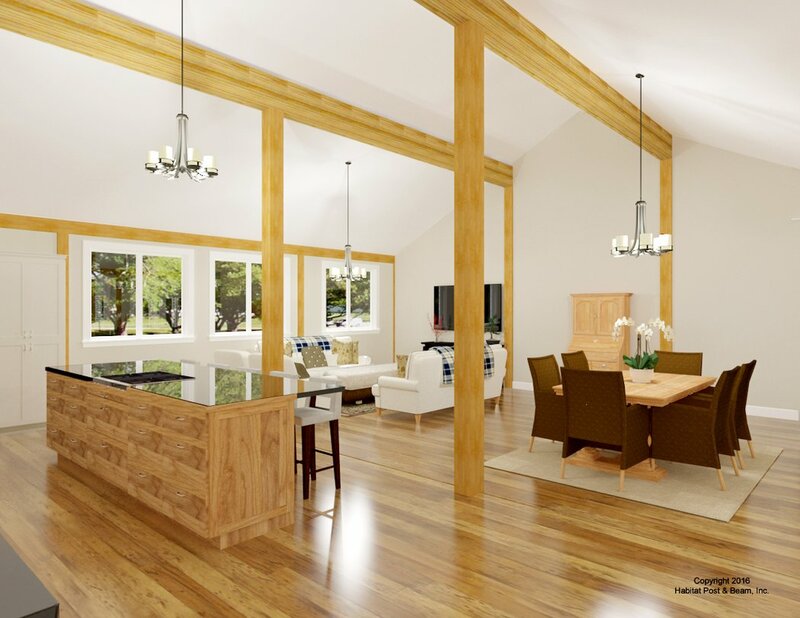 The standard price includes our Beamed Wall System, Plaster and Beam or Beamed Mid-Floor System (same package price) and our Plaster and Accent Beam Roof System with cathedral ceilings over the living, dining, kitchen and in-law suite and flat ceilings over the bedroom wing, entry and storage area. The entry porch is our Beamed Porch System, while the screen porch is our Liner Porch System with a flat ceiling. The garage is not included in the above pricing.